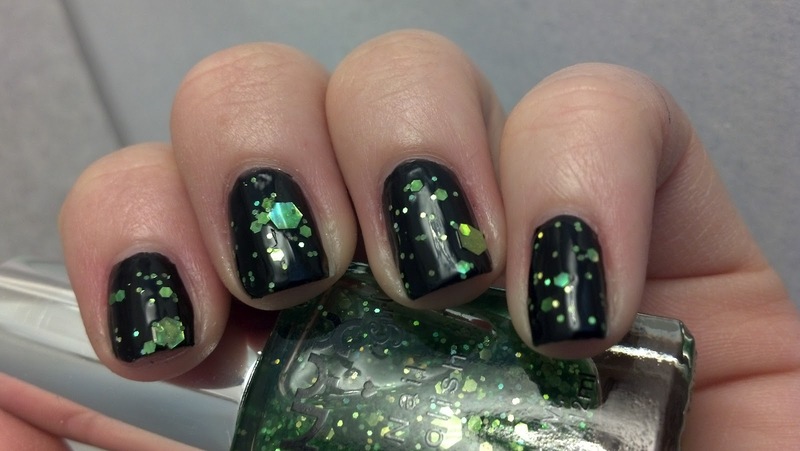 Today's untried is a lovely glitter. 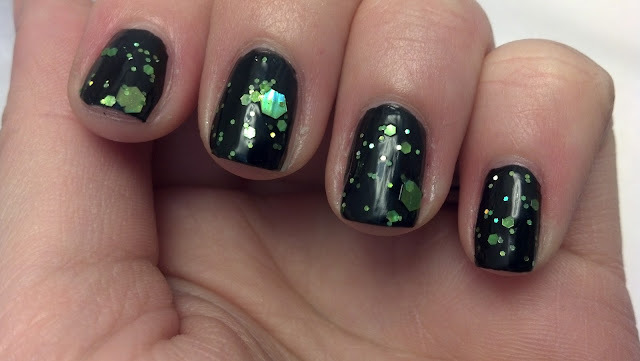 Enchanted Forest is comprised of small to large green holographic glitter hexies. I knew when I saw a swatch of this polish I just had to have it! Not much to say, it's just plain awesome. Some pictures to prove it! 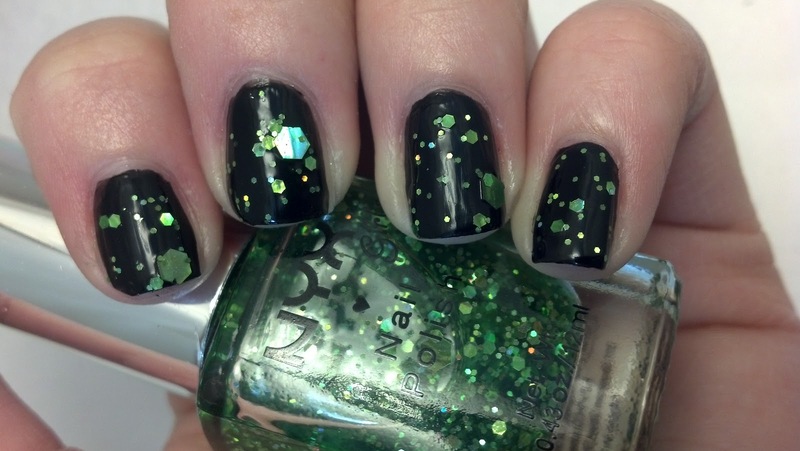 One and a half coats of Enchanted Forest over black, I had to dab the largest glitters on.